Several teachers who are still in the classroom [as I am not], whose judgment I respect, continue to complain about a lack of cooperation and attentiveness from their students. 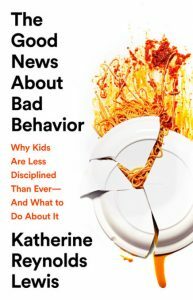 In her new book, The Good News about Bad Behavior, Katherine Reynolds Lewis suggests the problem is an inability to self-regulate. She lists several underlying causes for that, including where and how children play, their access to technology [especially social media], the limited expectations for their being contributing members of their families, schools, and communities, along with overuse of rewards that inherently end up making outcomes less intrinsically valuable. A product of the B.F. Skinner approach, I was trained to offer consistent consequences. I tried to do that. Why didn’t it work sometimes for me? Why does it seem to work even less often now? According to Lewis, “Contemporary psychological studies suggest that, far from resolving children’s behavior problems, these standard disciplinary methods often exacerbate them. They sacrifice long-term goals (student behavior improving for good) for short-term gain—momentary peace in the classroom.” Given that the frontal lobe of the brain, the section of the brain that controls judgment and behaviors, isn’t fully developed until the mid 20s, Lewis asks how we can expect kids to process punitive consequences and rewards. I would love to visit schools that operationalize these ideas, to see their impact firsthand. But even just from reading, I’m convinced that we educators need to shift our interactions with students. Not all of this is new: many of us had our students set up classroom rules and expectations, for instance. But the idea that students and teachers might work collaboratively to address student behavioral issues appeals to me. When I think back to my time in the classroom, the occasional exchange like that that I managed to do intuitively worked better than any authoritarian approaches. Lewis suggests changes that families might employ that would facilitate self-regulation. I hope many learn from her book. In the meantime, her wisdom and her careful research should speak to educators as well. Any revelations that make us more effective can only benefit our students. I wish that I hadn’t chickened out… We were at the amazing Museum of Contemporary Native Arts in Santa Fe, ambling through the final exhibit. Holly Wilson’s exhibit, “Breaking Ground,” had already inspired a revision of one of our sculptures in process, and we’d both been moved by the “Without Boundaries: Visual Conversations” exhibit that features Indigenous leaders and contemporary artists whose work encourages social action. The North Gallery offered “Art & Activism: Selections from the Harjo Family Collection.” Suzan Shown Harjo was an important American Indian activist, lobbyist, and policy maker whose family amassed a collection of significant contemporary Native American art in varied media. We whispered respectfully as we toured the Harjo exhibit; reverent near-silence seemed fitting. It didn’t last. Three young women erupted into the room, loud and ebullient. Certainly they were in high spirits, but they may have been high on recreational substances. We smiled wistfully at each other but said nothing. Then one of them started handling the 2D hanging art, ignoring the “Do Not Touch” sign. I looked at her, but she ignored me. I contemplated saying something, but the racial and age gaps seemed substantial and I feared any comment from me might only escalate her behavior. What to do? In my classroom I would have spoken up immediately about behavior that crossed a line like that. I think I would have spoken up in the hallway with students I didn’t know. Here felt somehow different. I was spared the need to act when she and her friends settled down, leaving the works alone. This encounter felt wrong to me. I’ve been reading the remarkable book, The Good News About Bad Behavior, by Katherine Reynolds Lewis [more about that in a future blog]. The author describes the inability of young people to self-regulate and the root causes of that inability. Not having reached her chapters that offer solutions, I felt inadequate and ineffective. Behavior that doesn’t respect common boundaries seems more and more common. As a civilian out in the world, rather than an educator in the classroom, what is my role? My responsibility? What might have worked? Should we have said something to the museum staff? I truly don’t know. I do know that days later, when we were at Ojo Caliente Mineral Springs, I did choose to speak up. Someone had taken down the chain across the entrance to the mud baths that marked them closed and gone in anyway. Worse, they’d left the sign and chain stretched out across the entrance on the ground, inviting an accidental fall by someone else. We quietly told the staff, and they went out to rectify the situation. That move was easy. But my visceral reaction to someone’s touching art and my uncertainty about how to respond still make me squirm. What is our responsibility – as parents, educators, citizens – to counter behavior that violates rules and social norms? If we do nothing, are we not culpable, too? In late May I had a serious kayaking accident. Medications that make me bruise and bleed more easily made it far worse, leaving me with technicolor blooms all over my body. 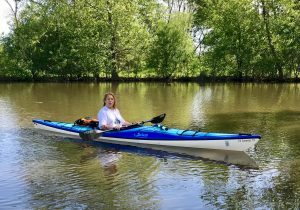 We were paddling in a side creek that’s only navigable in very high water, working our way around the downed trees and debris, going deeper into the “jungle” than ever before. Don was ahead of me and reached a steep patch with a sudden curve and heaps of rocks. “I think we should turn back, hon,” he called out to me from the safety of an eddy. That was a mistake. The fierce current hit the side of my boat, slamming me into a downed tree. I struggled to remain upright, but the current continued to batter my boat and I realized it was hopeless. I chose to exit upstream away from the tree, a good choice for safety but one that put me further from my expensive craft. Seeing it pushed away from me by the current, I dove after it, not realizing how much tree lay between us. I managed to save my boat, but the water continued to pound me into the tree. Don came to rescue me, but I insisted he go after my paddle, paddling cap, and waterproof camera. I knew my safest exit from the creek required a paddle to maneuver, and the cost of equipment was at the forefront of my mind. During the 6-7 minutes he was gone, I pondered my options. Fortunately, he returned with my paddle and cap [alas, the $400 camera was gone], and he helped me drag my boat to the safer side of the creek and get back in. I pumped out enough water to paddle and we dragged ourselves back to put-in. I didn’t realize how badly I was hurt at first, and my recovery dragged. Our local river remains closed, the high water too dangerous, so I haven’t even been back in my boat yet. My thoughts about this fiasco remained stuck in a loop far too long. Finally I chose to look back at the lessons I learned. As always, for me they relate to the classroom. Lesson #1: Be prepared. Rehearse possibilities. Know what you’re going to need to do. Our kayak safety classes and required wet exit demonstrations on trips like our Belize adventure taught me how to leave my boat as safely as possible. In the classroom, my biggest mishaps happened when I was caught by surprise. The day a student said to me, “F*$# you, you b^@*#!” I was so taken aback that I replied, “What did you say?” When he repeated himself, I answered, “Okay, the second one is on me, but you need to go to the dean for the first.” No student had sworn at me in front of the class before, and I was unprepared to respond more effectively. Lesson #2: Keep your head. Lesson #1 will help you do that. I could have panicked over the possibility of losing both thousands of dollars’ worth of equipment and my safest passage out of the creek. Instead I went into problem-solving mode. My best work in the classroom happened when I chose to go into problem-saving mode, even for distressing situations. Lesson #3: Mistakes will happen. What matters is what you do when they do happen. I used to have a banner up in my classroom with the saying, “If you’re not making any mistakes, you’re not taking enough risks.” This lesson did not come easily to the risk-averse person I used to be. But I believe we all need to challenge ourselves. If we never leave our comfort zones, how do we grow? And if we do, some mistakes are inevitable. It is up to us to see them as learning opportunities rather than failures. Lesson #4: Don’t live in fear. When things go wrong, have faith that you’ll do better next time. If you see mistakes as opportunities, you’ll have the strength to deal with outcomes. Lesson #5: Support matters. Whether it’s your paddling partner saving your equipment and helping you out of a jam, or a colleague talking you through a mishap, helping you problem-solve, helping you develop better strategies for next time – you don’t need to go it alone and can become stronger because of support. I’m anxious to paddle again, to normalize paddling again, so we’re driving up to Lake Geneva tomorrow. Paddling on the lake should give me closure. But these lessons I learned and their value elsewhere in life help relieve the sting of my mistake and make it a more positive experience. I miss my writing group! Although it has always been a very high priority for me, through circumstances beyond my control, I missed the May meeting and will now have to skip June’s as well. Sadness pervades my efforts to write. “Why?” I’ve been asking myself. I wrote both of my textbooks as a lone ranger, getting feedback from my editor only after I turned in semi-final drafts. Her comments polished the work and let me finalize it, but they came in near the end of the process of writing. My group, on the other hand, responds to my work earlier in the process, and their varied perspectives, while sometimes confusing, usually lead me to a better version. I miss the discussion, I miss their perspective, I miss being reminded that my audience includes non-teachers and I can’t assume background knowledge. But it’s more than that. I miss the community. I miss being part of a group where individuals commit not only to their own writing but also to helping their peers. I miss the joint sense of purpose, the shared learning. And I miss being able to offer my own comments and perspective. I miss the give-and-take that characterizes a good session. The degree of my frustration over missing two months in a row surprised me, but it shouldn’t have. I am a better writer, a better reader, and a better communicator because of this community of writers. And with no firm deadlines for my memoir or my blog, I value the accountability of the deadline of each meeting. Thinking about this led me to an epiphany: my best classes – as learner and as teacher – have been like my writing group, a community with a shared purpose, mutual commitment, and genuine concern for each other. My teacher training [admittedly a lifetime ago] never addressed that. 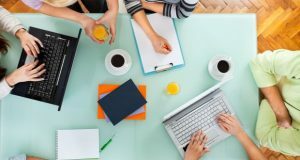 When I student taught, my supervisors didn’t evaluate how well I was building community. But as I mourn missing these sessions and promise myself to protect July’s date, I realize that all educators should concern themselves with these issues. The very reason I never loved my online classes and workshops was the distant nature of any community they offered. Our classrooms should promote a sense of connectedness and shared purpose. Only then will our students and teachers eagerly attend and participate in the work together. My grandchildren are breathing a sigh of relief that AP exams are over. 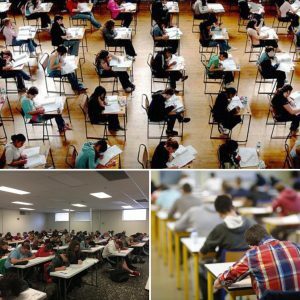 They join almost five million other students who took AP exams. The pressure these students feel makes me wonder. The fact that they’re taking AP exams as freshmen and sophomores makes me wonder. Using the number of students who take AP tests to measure the effectiveness of a given school makes me wonder, too. I loved teaching Advanced Placement English! I modeled my AP class on the Honors Seminar in Literature that I took at the University of Wisconsin, Madison. Only 12 of us were placed in the Seminar out of over 5,000 freshmen. Being in this select group was an honor, a privilege, and a responsibility. I struggled to rise to the occasion, developing close reading skills and more effective and compelling writing. My professor, L. Randolph Wadsworth, was a visionary who had us engaging in Socratic dialogue, teaching each other, and reading and writing at a furious pace. We met off-campus and the level of discussion shaped my desire to teach English. How can freshmen and sophomores do close readings and Socratic dialogues at that level? Should they? Isn’t that level of intellectual exchange a product of growth we foster in the early years of high school? My grandchildren will graduate from high school with many AP credits and AP tests on their record. It looks like our grandson could graduate in three years if his university gives him full credit. Is that even a good thing? Economic savings, to be sure, but what would he be missing by cutting his college experience short? My students might have groaned when I’d begin an opinionated statement with, “If I ruled the world…” but if I did, I would reinstate Advanced Placement courses as a culmination of high school studies to aspire to, a transition to college seminars, not a series of hoops to be jumped through all four years. I’d take some of the pressure off these high school students, too many of whom are already struggling emotionally. And I’d continue to work to make all high school classes demanding and fun, to lead students to a fulfilling sense of accomplishment that doesn’t require a national test to prove its existence. I’ve been following the spate of teacher strikes with interest. 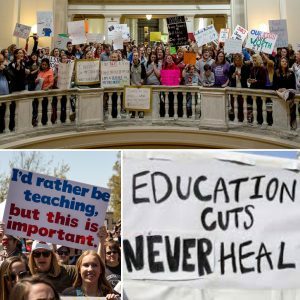 West Virginia, Oklahoma, Kentucky, Arizona, Colorado, North Carolina – there’s a reason many are calling this “America’s Education Spring.” Too many think that this is just about pay. Pay matters, and I believe that teachers are generally underpaid, a problem that has grown in the last ten years. The numbers are worrisome. “Nationally, average teacher salaries are down nearly 5 percent after inflation is considered, and some states are down even further.” By 2015 school funding had not returned to a pre-recession levels in 29 states. No wonder many striking teachers, like those in Arizona, demand not only a raise, but also increased school funding. And most of the states enduring state-wide strikes have teachers’ salaries set by the state, creating a laser focus. When I was still teaching [and, admittedly, when schools were better funded in general], research suggested that teachers sought respect, decision-making about curriculum and policy, leadership opportunities, and recognition and appreciation of effective work. Changing school culture won’t replace decent pay, but it will enhance the best of what’s happening in schools. As a nation we often give lip service to the importance of a public education. We need to fund our schools adequately, ensuring reasonable and competitive teacher pay as well as funding for materials and professional development to help teachers continue to grow and serve their students. We also need changes in school culture and the attitude of parents and the public toward teachers. Only then will teachers be empowered to be their best selves in the classroom, a key to helping students become their best selves. Back to the issue of technology in the schools… The recent spate of books condemning technology and insisting that it’s ruining our kids continues to grow. In Glow Kids, Dr. Nicholas Kardaras argues that “age-inappropriate screen tech, with all of its glowing ubiquity—has profoundly affected the brains of an entire generation.” An addiction expert and former professor, he looks at brain imaging and clinical research to prove the negative neurological impact of the epidemic of tech usage. In Reset Your Child’s Brain, child psychiatrist Dr. Victoria Dunckley ascribes many behavioral issues of children to Electronic Screen Syndrome (ESS) from the everyday use of interactive digital devices. She prescribes an extended fast from digital devices. I have just finished exploring Screen Schooled: Two Veteran Teachers Expose How Technology Overuse Is Making Our Kids Dumber by Joe Clement and Matt Miles. They, too, insist that overuse of technology has harmed students, and that schools are complicit in their commitment to technology regardless of its purpose and the harm it causes. They claim that American teens spend almost nine hours a day on screen time and too often see knowledge as information without a context. They point out that teens ages 12-18 go through a significant period of growth and pruning in the prefrontal cortex that’s very important for higher-level cognitive skills. If they’re underutilizing the portions of the pre-frontal cortex used to solve problems or think critically, teens could end up pruning that section and grow synapses used for gaming and social media instead. They write, “If you consider the fact that technology is designed to solve problems for us, it should be introduced only after students have mastered the ability to solve problems on their own.” They argue persuasively about the value of inactive time to support thinking. Like the other books mentioned, they do offer action steps to help parents reduce school and home use of technology. I am concerned when I read these tomes [often on an e-reader, I’ll confess!]. I am concerned when colleagues describe their students’ insistence on using phone screens in class and secreting them well, making intervention challenging. Technology has changed the classroom – we can all agree on that. But I find the one-sided arguments of these books frustrating. Clement and Miles complain that technology encourages a false sense of multi-tasking and hurts focus. That may be true, but then isn’t this a teachable moment to teach focus directly and counteract that tendency? We need to counteract our society’s vision of multitasking for everyone, and focus should be a significant part of the curriculum. The authors condemn a shift from problem-solving to lessons in how to use technology – but that’s an avoidable choice. Schools could and should commit to teaching problem solving effectively. These authors also point out that it’s easier for students to plagiarize without acknowledging that it’s also easier for teachers to identify that plagiarism. The real problem is not the technology itself but its misuse by well-intended but perhaps misguided districts and educators. With effective guidance, schools and teachers should be able to identify opportunities for technology to enhance teaching and learning, and limit its use where that enhancement doesn’t exist. So… what to do? For me the turning point was reading that Clement and Miles would have students first learn mathematical processes without a calculator. I came of age during the slide rule era and confess I never fully grasped its conceptual base. We can and should teach learners the basic mathematical processes, but the amount of time students like me spent on computation seems pointless now. My husband argues that his strong pre-calculator background helps him recognize likely errors and estimate in his head. We can still teach learners to do that. But I’m far more interested in whether they can determine what numbers to explore to solve a given problem than their ability to compute those numbers freehand. Technology can be transformational for teachers and learners. I’ve written before about its impact on my own writing and the way I taught writing. The ability to connect with students and parents improved my rapport and their understanding. If teachers post homework and students persist in bothering them to find out the assignments instead of checking the post, then teachers need to practice tough love and send them to that posting. Technology has created numerous challenges and frustrations for teachers – I get that. But it has created great opportunities to transform teaching and learning at the same time. It’s up to all of us to figure out how to mine those opportunities even as we limit the distractions and waste. We need to engage young people so they are less prone to turn to their screens mindlessly. My parents limited television viewing time; my son and daughter-in-law limit screen time. They also provide appealing alternatives. Teachers can and should provide appealing alternatives. Wholesale dumping of technology is neither realistic nor productive. Let’s work to use it wisely and set limits on it use. That’s a win-win scenario. Last week several encounters reminded me of why I chose to spend my career teaching and learning with young adults. First, the articulate students arguing for meaningful curbs for violence moved the needle more than adults ever have. Their fierce determination to make the world safe for all students inspired me. Their courage and resilience kept them from backing down in the face of adversity. Their unwillingness to be silenced helped to bring about change. And they reminded me of the students who had inspired me as I fought to help establish Gay/Straight Alliances in my district. They, too, refused to back down. Their articulate demands, their fortitude, and their mutual support inspired me. Because of them I did not back down. Because of them, the GSAs are still going 18 years later. And I had three delightful encounters with former students. On Tuesday night one of them joined my writing group. She and I had reconnected before – in fact, I blogged about her in “What’s Behind the Mask?” She contributed to our rich discussion so effectively. When I smiled and said, “You must have had good English teachers,” she replied, “But, of course.” I’m delighted that she’s decided to join us. The next morning I finally had a much delayed coffee date with the former student I’d blogged about in “Relationships Are a Two-way Street.” The delays had been my fault, but the wait was worth it as I discovered this vibrant young woman as an adult with an interesting life and entertaining stories. I look forward to seeing her again, too. And the very next day I saw, as I so often do, yet another former student as I checked in a friend at the gym. This lovely young woman and I first connected there in a Zumba class, and she now works the front desk. Every time she’s there when I check in, her smile of encouragement inspires me to work out well. I always hated the old joke that the three best reasons to teach are “June, July, and August.” I used to think my reaction stemmed from the work I did most summers: curriculum work, reading new materials, teaching teachers about problem-based learning. And I resented the way it diminished the unreasonable pace of the school year which made some summer time recovery a necessity. I now realize, however, that my antipathy stems most of all from its diminishment of what really matters, the students. They provide the real payoff for teachers. I became a teacher to impact students, and I hope I did. I expected to teach them, and I did. But the true gift of being a teacher comes from learning from students and the many ways they impacted me. Reminders of those lessons filled my life last week. I feel incredibly lucky to have spent my professional life with students. Author ellenjoPosted on March 20, 2018 March 20, 2018 Categories Uncategorized2 Comments on Why Teach? I’d intended to stay on the theme of technology and the challenges it poses, but the Parkland, Florida, school shooting and the remarkable response of the students there needs attention first. Not surprisingly, adults retreated to their partisan corners and the President flip-flopped once again. For the first time, though, I have hope. The activism of young people won’t let this go. 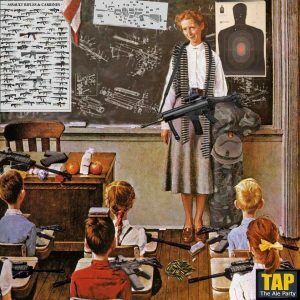 I am adamantly opposed to arming teachers. Not only would this change the atmosphere in the school and create additional danger – most of my high school students could have disarmed me – but a locked-up handgun, even if retrieved quickly, is unlikely to prevent mass casualties from an assault rifle. In a December 2012 statement, the National Association of Secondary School Principals said, “Firearms in principals’ and teachers’ hands might do more harm than good. To be effective, schools must be perceived as safe havens.” Teachers can only make schools a safe place to learn if they focus on teaching. They cannot be the police force. And at Parkland, the police officer, trained to protect people and carrying a gun on his person, failed to stop the shooter. Could we expect more from teachers? Should we? I say a resounding no. Better limiting of gun ownership to people exhibiting warning signs. To that list I would add banning assault rifles and bump stocks. Why do we allow weapons of war in civilian life? These weapons did not exist when the Second Amendment was written. Their only purpose is to kill as many victims as possible in a short period of time. They have no place in our society. These suggestions only offer a starting point. The Rand report on “Gun Policy in America” acknowledges that we need more research to identify best solutions, but it asserts that background checks do reduce firearm homicides and suicides, that gun prohibitions associated with mental illness reduce firearm violence, and that child-safety measures reduce unintentional injuries and deaths. On another front, I personally believe we need to elect Senators and Representatives who will not succumb to the financial power of the National Rifle Association. We have that opportunity this November. Just as the “Me, too” and “It’s About Time” movements are bringing about a cultural shift in norms and behaviors once thought impossible to achieve, we can cause that shift about gun violence. It’s about time that we protect our students and teachers and staff. It’s past time. Every American who is concerned about gun violence in general and the mass shootings that have become our norm needs to speak up. Call or email your Senator and Representative. Check the positions of your candidates in November. 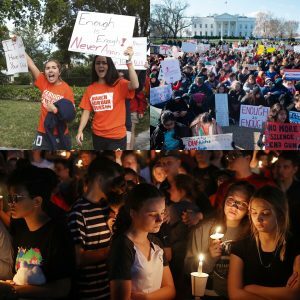 Consider joining a “March for Our Lives” rally near you on March 24. We can keep the momentum going, and the momentum can lead to incremental changes. We can best honor the victims of mass shootings by supporting these activist students and becoming activists ourselves. I have been MIA because I’ve been recuperating from a serious illness. My time at home has given me much time for reflection. My problems started with a recurrence of an illness from 27 years ago, and the difference in my constrained world startles me. Although confined to my home, the world is still at my fingertips. I maintained contact with family and friends, even from my hospital room, through emails on my tablet and texts on my smartphone. There was no additional charge for long distance calls. I was on two different floors in five different rooms during my eight-day stay, yet I remained totally accessible because of my smartphone. When I ran out of books to read, digital downloads from the library refreshed my supply on both my Kindle and my tablet. My caregivers recorded every detail on laptops and scanned my hospital bracelet to coordinate the information. Free high-resolution large-screen television offered nearly infinite choices for entertainment, including calming images and music. My return home offered me whole house DVR, Netflix and Amazon Prime entertainment. I could surrender my brain to distraction at the flip of a channel. What a change in less than three decades! Twenty-seven years ago my husband made frequent trips to Blockbuster’s [remember them?] to rent movies, and he didn’t have a mobile phone to let me participate in choosing them. He went to the library and guessed at choices there, too, and I struggled to read hardcover books at night in bed without disturbing him. Expense limited long distance phone calls, and the days dragged. Technology allowed this recent recuperation to pass far more quickly and easily. I found myself thinking about Ray Bradbury, my favorite science fiction writer, who feared technology and its ability to dehumanize us. I’d loved teaching Fahrenheit 451, challenging my students to consider the role of technology in their lives. We’d talk about the way the wife of Montag, the protagonist, responds to his request that she turn “the parlour” [the three screens of media] off so he could connect with her. She resists, replying, “That’s my family.” The thoughtful reading of books as a proliferation of culture gets replaced by mindless entertainment and increasing isolation. Frighteningly, media becomes a source of oppression, all too real an issue in today’s world. Bradbury repeatedly warns us about technology. Time magazine quotes him: “We have too many cellphones. We’ve got too many Internets. We have got to get rid of those machines. We have too many machines now.” (August 17, 2010). To the Huffington Post he says, “There is no future for e-books, because they are not books. 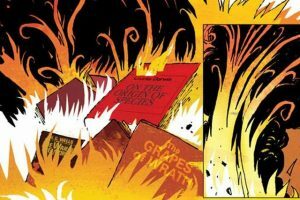 E-books smell like burned fuel.” Written in 1953, Fahrenheit 451’s prescience is chilling. But I like John Naisbitt’s view: “The most exciting breakthroughs of the 21st century will not occur because of technology but because of an expanding concept of what it means to be human.” I’m grateful for the ways technology improved my medical care and eased the boredom of my recuperation. As a teacher I loved the opportunities technology offered me to transform teaching and learning, even when those changes were off-putting, inconvenient, or seemingly unmanageable. 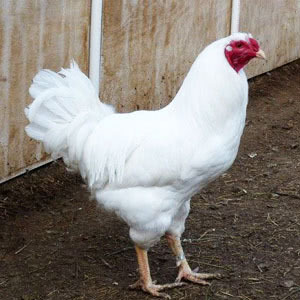 Benjamin Disraeli asserted, “Change is inevitable. Change is constant.” Technology will continue to transform our world. The world that Bradbury envisioned is very like the world in which we live today, and continued transformation remains inevitable. It is up to us to harness those changes, to benefit where we can, to work to limit harm where we can. Drafting this blog on my computer, seeking appropriate images on the internet, preparing to upload the blog digitally to a cloud where my readers can see it – these are changes I embrace.